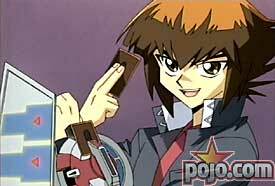 In the U.S., 4KidsEntertainment has decided to skip the original Yu-Gi-Oh anime. 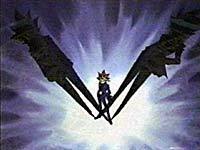 Duel Monsters is actually the second anime for Yu-Gi-Oh. The first anime dealt with Yugi solving the millennium puzzle and playing games other than Duel Monsters. Duel Monsters deals more the with Duel Monsters Trading Card Game. Into the Hornet's Nest - which should have aired between Episodes 3 & 4. - Two episodes were combined to make "The Ultimate Great Moth" in the U.S.
And Winning through Intimidation - should have aired between Episodes 13 & 14. - Two episodes were combined to make: "Panic Attack" in the U.S.
38: Get Yarr Game On!